Thanks for showing an interest in this unique product offering designed and supported by us. We have seen a great deal of interest from all over the world. The xE910 family has extensive options that we can supply in short lead time in the Mini PCIe form factor. Use the Glyn Mini PCIe xE910 or Telit mini PCIe board? The Glyn cellular Mini PCIe module is designed to allow the user easy plug and play options for GSM, UMTS, HSPA, LTE (CAT 4, Cat 1) and CDMA. 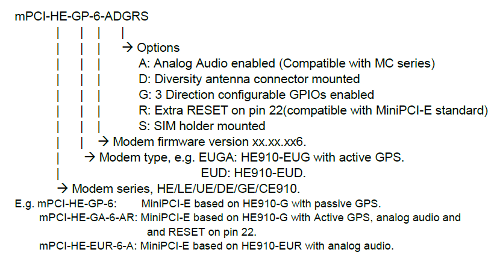 With plug and play options via Mini PCIe interface supporting the entire range of xE910 modules and options such as analog voice (Telit module dependent), active GPS (using the Telit SE868V3 receiver) or passive GPS (only available when there is GPS inside the Telit xE910 module), USB, GPIO, SIM holder can easily be fulfilled without the need for re-work or re-design. By providing a CMOS UART on the Mini PCIe makes it electrically compatible with SIERRA WIRELESS MC Series, e.g. MC8795/MC8790/MC8780. and besides industrial customers like UART, and not always USB, but now you have the choice! In most cases your design needs to provide flexibility depending on which region the product is to be deployed and or certified. The Mini PCIe form factor takes the guess work out of the design by providing a single connector for interfacing the entire range of radio types depending on your needs. Click the button below to add the Glyn Mini PCIe xE910 to your wish list.